Today my family and I spent some time in Frankfort, Kentucky, to visit the state capitol and visit the quaint downtown area. The day would have been a win with just the visit to the capitol; however, our visit to Frankfort’s downtown made the day even better. Why, you may ask? Because of the treasure in Poor Richard’s Books – one of those now-rare local book stores that lack the corporate feel of the box stores and the virtually impersonal feel of e-books. The walls were lined with floor-to-ceiling bookcases and the middle of the store was filled with more bookcases. Then, you go upstairs to find another floor full of older, dustier books. Books lined the walls and filled bookcases in the aisles, while overflow books…well…flowed onto the floor. It was magical. A book store where you could literally spend an afternoon looking through the books for anything and everything. Our trip to Poor Richard’s led me to two Kenneth Roberts’ books. I stress “two” because it’s rare to find more than one book of Roberts’ in a book store outside of New England. 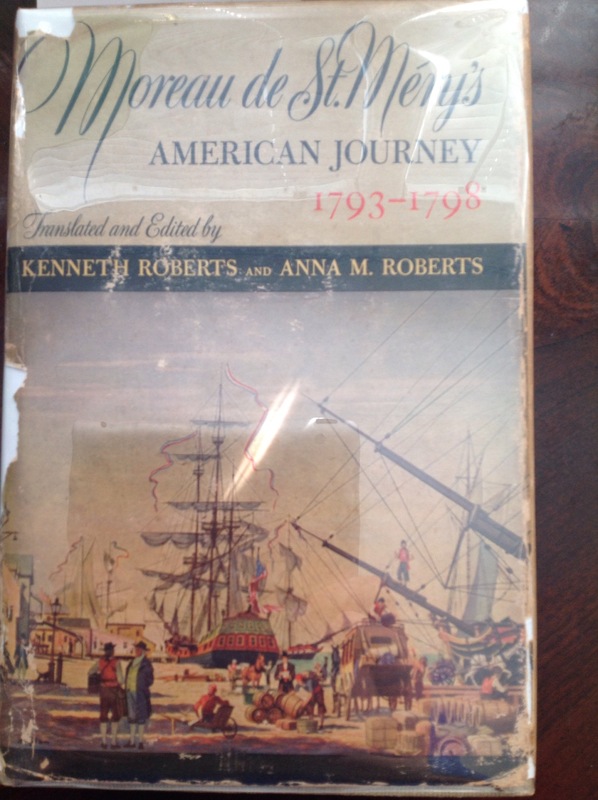 The first book I found was a first edition of Moreau de St. Mery’s Amerian Journey. 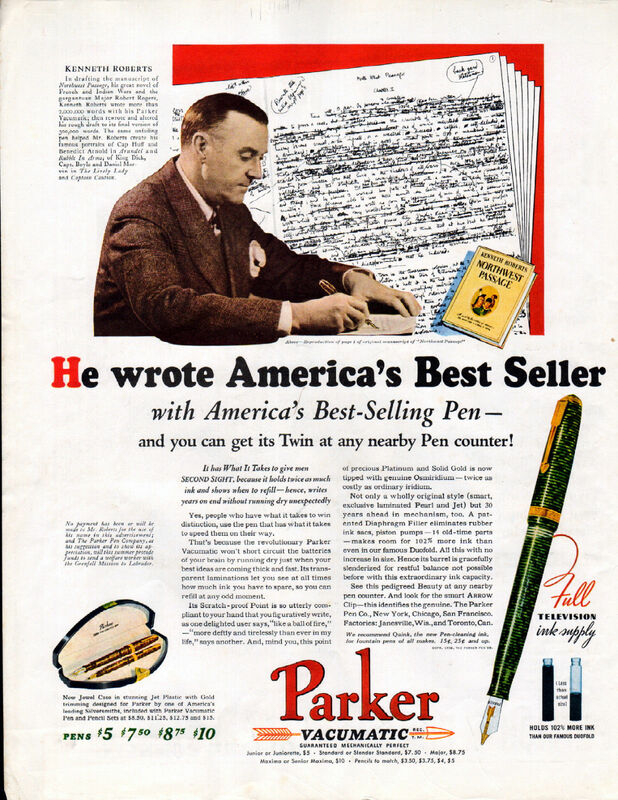 Roberts consulted the journals of de St. Mery when he was writing Lydia Bailey. The journals gave him insight into “the French refugees who fled from San Domingo and France at the end of the eighteenth century” (front flap). De St. Mery’s approach to writing is similar to that of Alexis de Tocqueville, but is a better read than Tocqueville. I also found several copies of Lydia Bailey, but I already have so many copies of this book that I passed on buying one (though I did consider it!). I highly recommend you visit Poor Richard’s Books if you ever find yourself in Frankfort, Kentucky. You can also visit them on the web (www.poorrichardsbooks.com) or on Facebook. 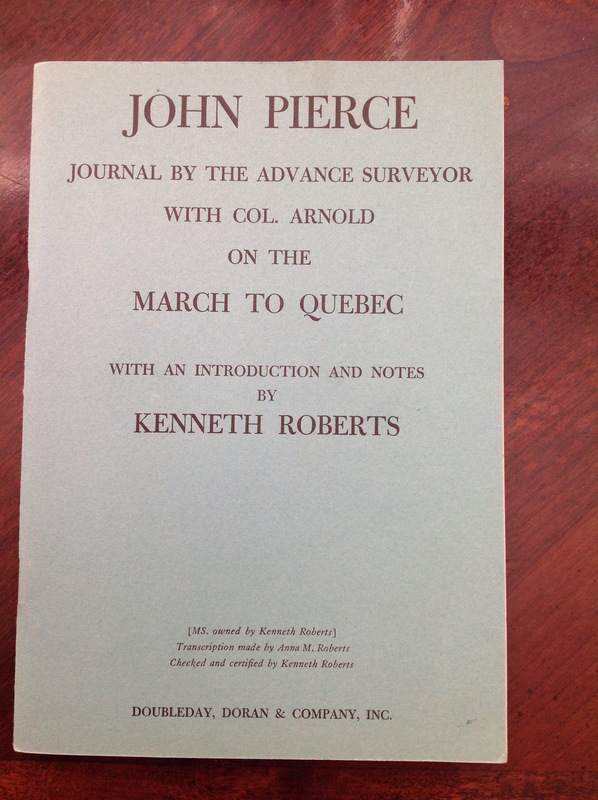 Finally, one of my bigger finds was earlier this summer when I found a copy of John Pierce: Journal by the Advanced Surveyor With Col. Arnold on the March to Quebec. 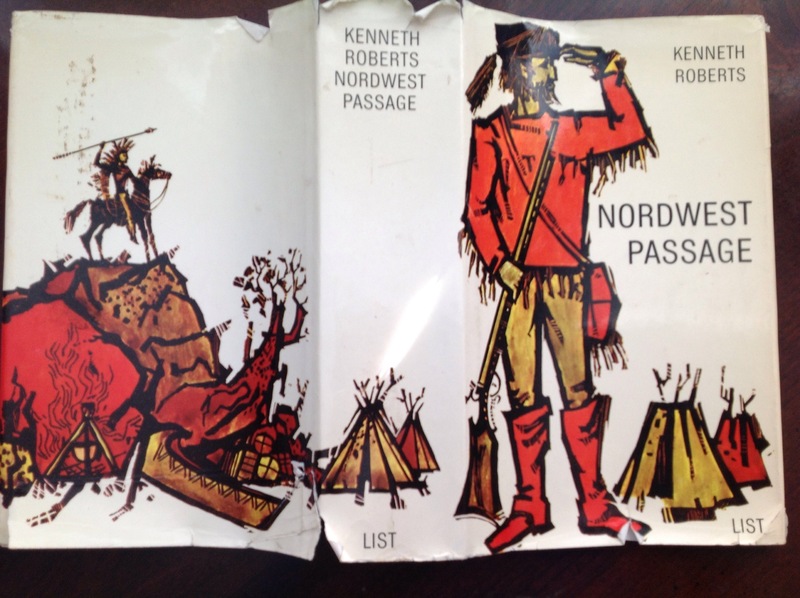 Roberts did not publish this book (more like a booklet) by itself; rather, if my memory serves me correctly, this booklet was included with a copy of either March to Quebec or Arundel (fellow K.R. fans, help out my memory on this one). 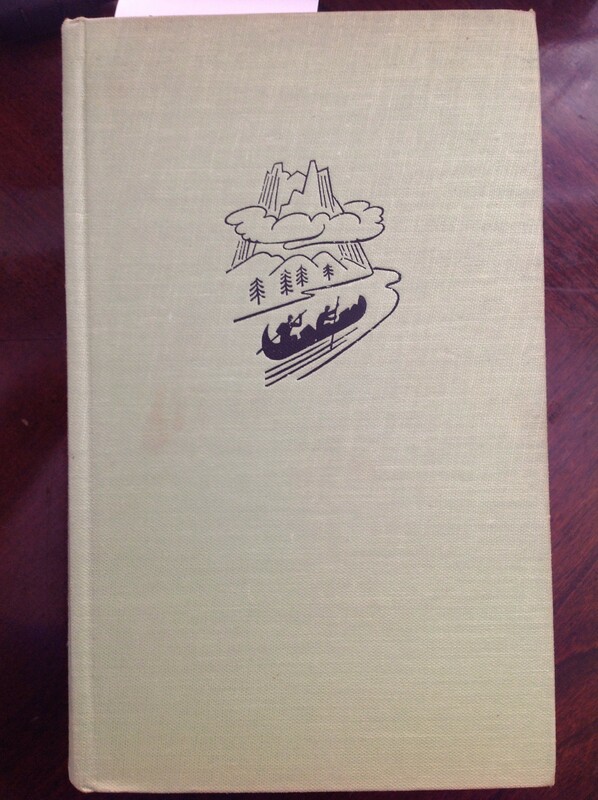 I’ve been looking for a copy of John Pierce for quite some time and stubmled across my copy while on Amazon.com. The book ran for about $50 or so, but I found my copy for $15. Not too shabby. And, to conclude an already lengthy post, I found another first edition copy of I Wanted to Write at a great book store in New Orleans called Crescent City Books (www.crescentcitybooks.com). It can be frustrating being a Roberts fan on a shoestring budget. Kenneth Roberts collectibles are to be had, but you have to be willing to pay a pretty penny. 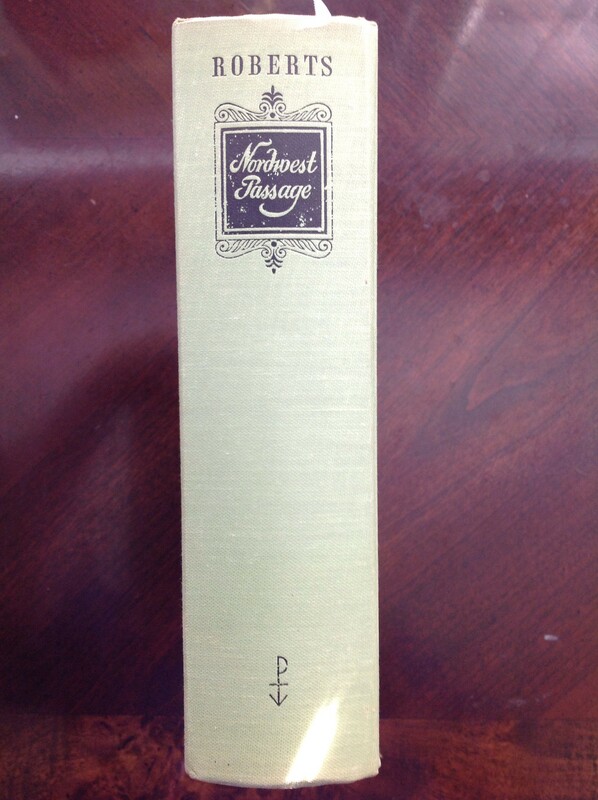 However, there are those wonderful days when you stumble across a first edition that fits your budget. And this summer, I’ve had several of those days!